Let's see...be positive. Focus on the good stuff. Look on the bright side of life. There's good in almost everything with a little perspective. That's the proper way to look at life, right? Right? So, as a proper challenge to that, may I present Trader Joe's Mango Chia Pudding with Cultured Coconut Cream? Glass-half-full side first: The pudding sounds good. C'mon, admit it, it does. Even with some mango fatigue setting in, this kinda sticks out if you happened to glance upon it on the refrigerated shelf. Even without the lid's suggestion, as a small breakfast time treat, or a little snacky or dessert, it certainly sounds like an indulgence on the probably healthyish side. And hey, dairy-free for those who that's a concern for. It's debatable between the wife and I about what's precisely wrong with the puddin'. My stance: it's the texture. It's kinda stiff and chunky and feels kinda slimy. There's some coconut strips in there that add an odd little fibrous bite that seems a little out of place. And then there's all the chia seeds...the cup's full of them. Top to bottom. That's just too many. Also, I'm not entirely sure if it would have been better if the seeds were, actually, you know, seed-like with a little crunch or something to them - because instead they just seem wet and bloated and soggy with scarecely any difference between them and the rest of the pudding. That's what bugs me. What bothers Sandy: the taste. Admittedly, it doesn't taste like much at all. Mangos are naturally full of sugar, so it ought to taste sweet, right? You'd think...but maybe somehow the coconut dulls it all out, because there's next to nothing going on here. I mean, kinda look at it - it looks like it tastes. Gray. Lifeless. Just kinda there and not much else. Okay, there is a little something to it...but nothing all that much. I'm usually not a guy in favor of things like added sugar, but this could really use something to liven up the flavor a bit. This kinda glop is usually right up Sandy's alley. She took two small tastes and made a huge "Bleccccch" face before handing over to me. I tried, and what promptly followed were two in-depth conversations: 1) Should we return it? We decided not to, because TJ's is 20 minutes away and not on our usual daily commute currently with M's preschool out. and 2) Is it okay to use the words "mango boogers" in my review? I mean, that's what first came to mind...I win, this is my review! I've yet to hear anything positive about this mango pudding, so maybe, as our brightside takeaway, we can all be united on how not good it is. Sandy gave it a 0, I'm not much higher. 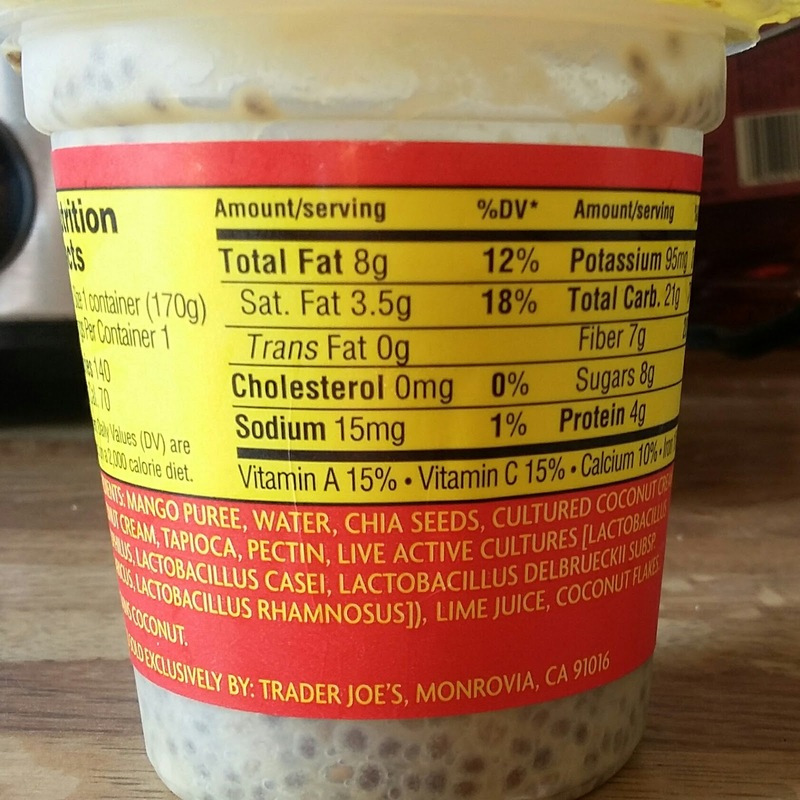 Chia pudding itself is gross. 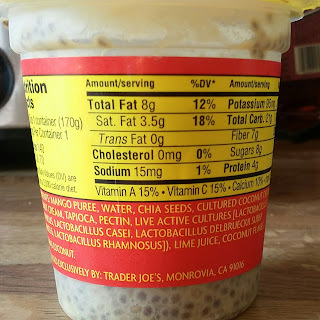 The slimy, gelatinous texture comes from the chia seeds. It's an affront to pudding to call it pudding. OTOH, Mango Joe-Joes? Yum. You could wash the container then return it. This is more of a health food than a sweet dessert. Chia seeds have lots of fiber and good stuff. 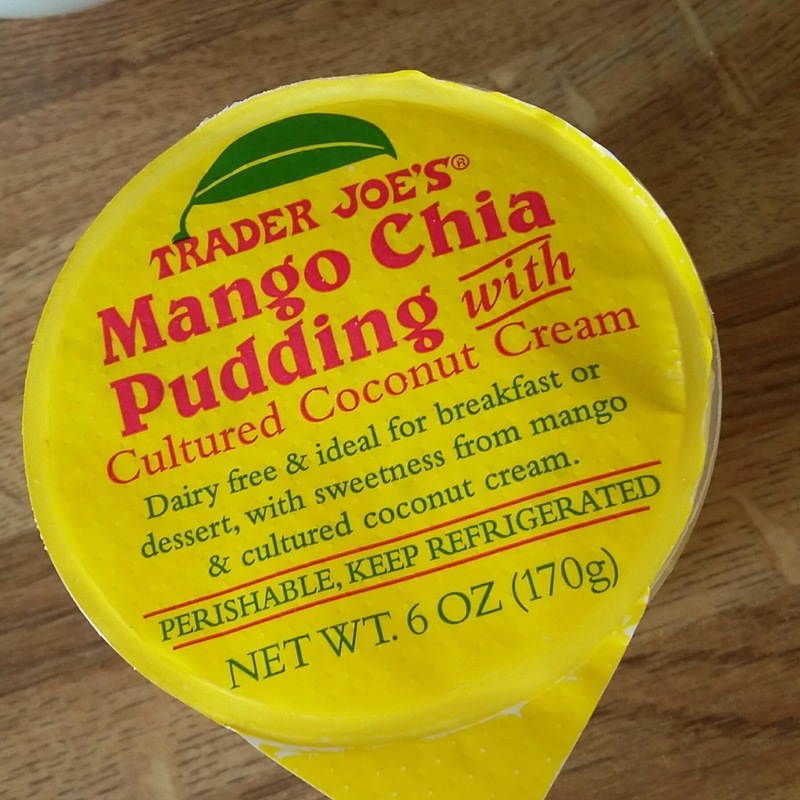 This pudding also has live cultures, like yogurt--good for digestive health. 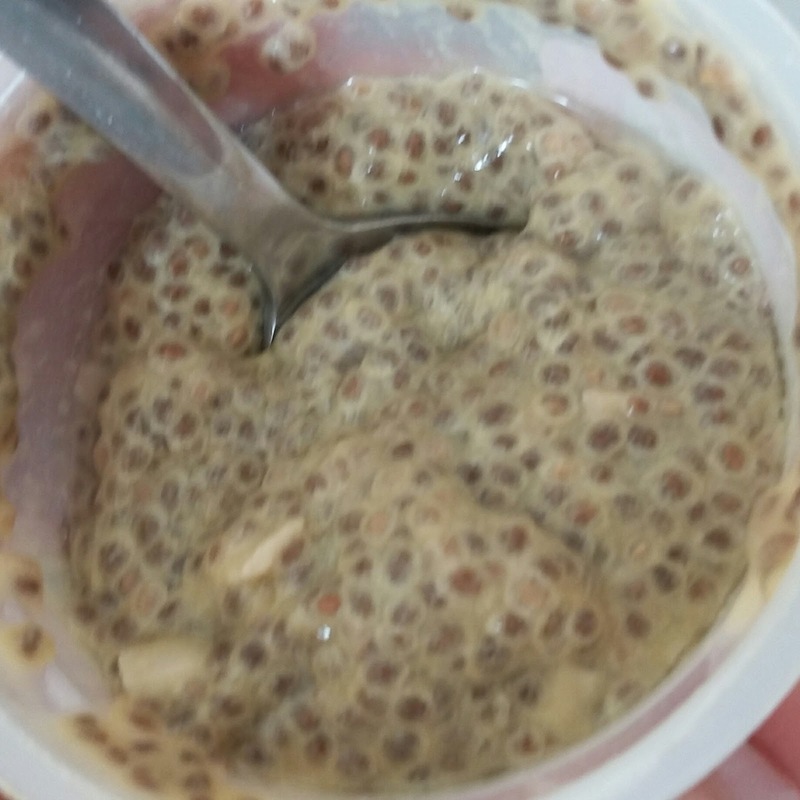 "Chia pudding" is easy to make--mix chia seeds with any liquid (milk, almond milk, etc) and it makes a gooey 'pudding.' I will have to try this--I like subdued flavors and am avoiding excess sugar in my diet. Okay I will try to keep my response delicate in nature. I used to run a Fertility Center. Do I really need to say more? Mango aside- any chia seed product reminds me of a certain life affirming something something. Not for me. I love mango, love coconut, love chia. When I saw this stuff, I thought that it had to be a hit. But it's truly awful. I returned it and the clerk told me that he hasn't heard of anyone who liked it. I agree, this stuff is god-awful, and I made the mistake of buying two.